If you&apos;re anything like me, you&apos;re ready for winter to be over. I&apos;m looking forward to sunshine, warmer weather, and the chance to get outside with my family. At our house, we are counting down to spring. 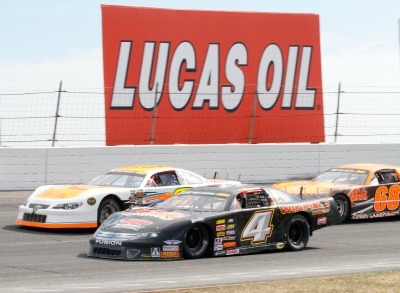 The release of Lucas Oil Raceway&apos;s 2015 schedule has given us one more reason to look forward to warmer weather. All of our favorite racing events are back, and there are also several new events this year that promise to be fun and exciting. The 2015 season officially kicks off March 28-29 with the appropriately named CRA Cabin Fever Championship. This race also starts off the Raceway&apos;s new seven-race Track Championship point series. This series will bring more racing to the Lucas Oil Raceway oval track, which is simply one of the best places in the country to watch a race. No matter where you are, you can see all of the action; there isn&apos;t a bad seat to be found. The new Track Championship Series features once race a month, from March through October, and the stakes will be high, with drivers competing to earn points toward the championship. Another short-track tradition we enjoy will return in 2015 as well. The 70th Annual Night Before the 500 race will be held Saturday, May 23. This year, the event will be headlined by the USAC Silver Crown Series. The drag strip will also have its fair share of action in 2015. The first of 25 Wild Wednesday Test and Tune events starts April 1, and the season-long ET Bracket Series will start on April 19. Lucas Oil Raceway will also host several more opportunities to see drag racing of all stripes, from cars to motorcycles, amateurs to professionals...and even kids, in the NHRA Junior Drag Racing League. 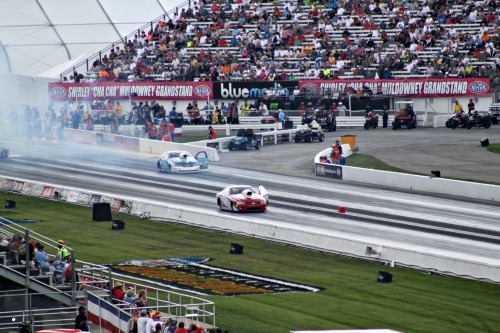 Of course, the biggest and best event in drag racing will be returning to Lucas Oil Raceway. The 61st Annual Chevrolet Performance U.S. Nationals will be held Sept. 2-7. This exciting race is one of the area&apos;s greatest traditions, and there&apos;s a lot on the line for the drivers. Not only is this race "The Big Go," it&apos;s the final race in which drivers can qualify for the NHRA Countdown to the Championship. If you&apos;ve never experienced the U.S. Nationals, mark your calendar and make sure you get there this year. The display of speed and horsepower will be unlike anything you&apos;ve ever seen! These are just a few highlights from Lucas Oil Raceway&apos;s 2015 schedule, which is packed full of racing every week through the spring and summer. Be sure to check out their website for the complete schedule and more information about your favorite events. If you&apos;ve never seen live racing before, I highly suggest you make 2015 the year you take in an event at Lucas Oil Raceway. I&apos;ve found it to be a great place to bring the whole family, and we&apos;ve truly enjoyed experiencing the depth of Indiana&apos;s racing history. Grab your loved ones and some ear protection, and make a date at Lucas Oil Raceway for 2015.